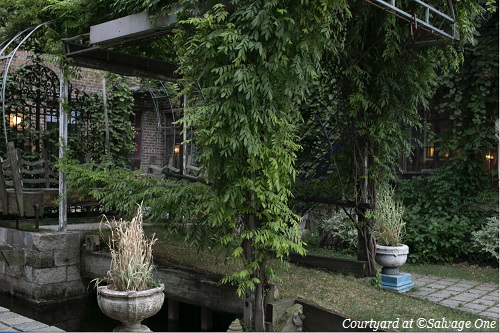 Wow your guests with outdoor Chicago venues that range from rooftops with sweeping city views to lovely secret gardens. If you&apos;re planning an event during the fleeting Chicago summer months, take full advantage of the weather by making it an al fresco affair. 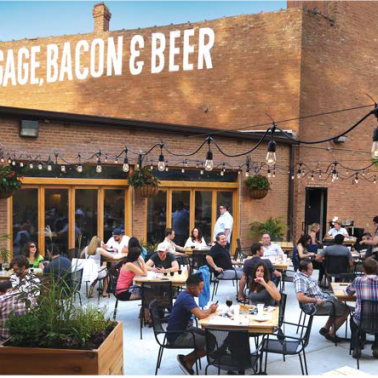 With so many outdoor Chicago spaces to choose from, we&apos;ve put together a selection of Chicago&apos;s 10 Best, with options that include everything from leafy sculpture gardens to terraces with scenic skyline views and rooftop bars perfect for mingling. Details: The Rooftop Terrace offers stunning views of Lake Michigan and the Chicago skyline. The huge 27,000-sq.-ft. space is equipped with a 50-by-100-ft. tent, accommodating 350 for a sit-down dinner or 1,000 guests on the entire terrace. 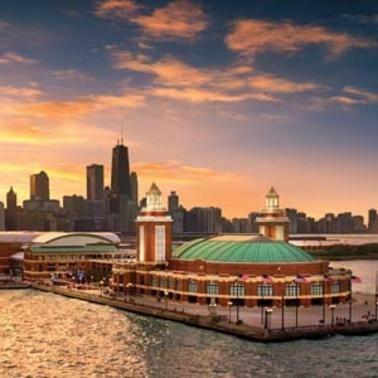 The seasonal space provides a front-row seat for Navy Pier’s spectacular summertime fireworks. 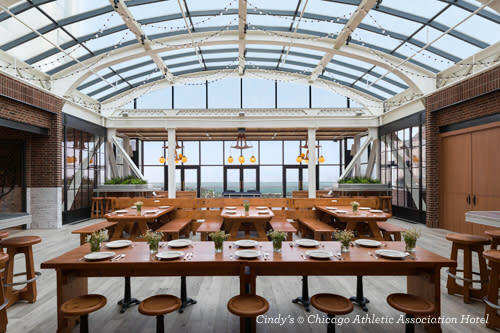 Details: Inspired by a Great Lakes beach house with its glowing string lights and picnic table seating, this rooftop restaurant perched atop the Chicago Athletic Association Hotel features jaw-dropping views of Millennium Park and Lake Michigan beyond. Book the private Library (up to 30 seated/45 reception) and you can reserve the south section of the adjacent outdoor terrace. 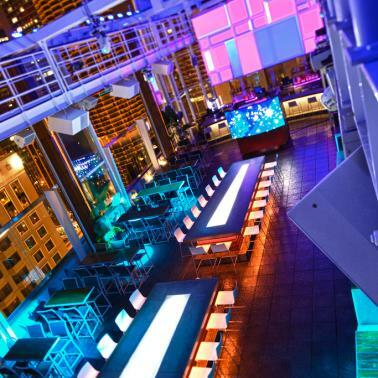 Details: This lively rooftop lounge on the 27th floor of theWit hotel keeps the party going all year round, thanks to its retractable roof. With its modern design, glittering city views and nightclub vibe, it’s no wonder Travel + Leisure named it one of the Top Three Rooftop Bars in the world. 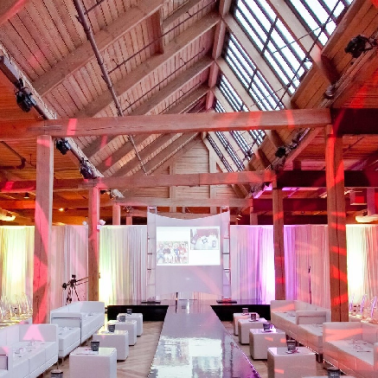 The entire ROOF can accommodate 300 reception-style. Details: The Anne and John Kern Terrace Garden provides stunning views of Lake Michigan and the Museum of Contemporary Art’s sculpture garden. 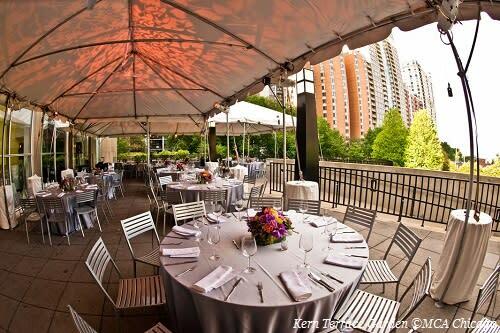 Tent the terrace, sculpture garden or both for seated dinners (up to 500) or a reception for 900. 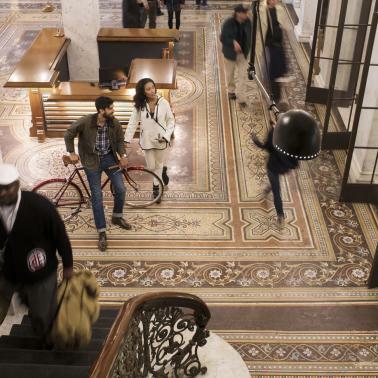 As a bonus for your guests, book a private tour of the museum’s renowned galleries. 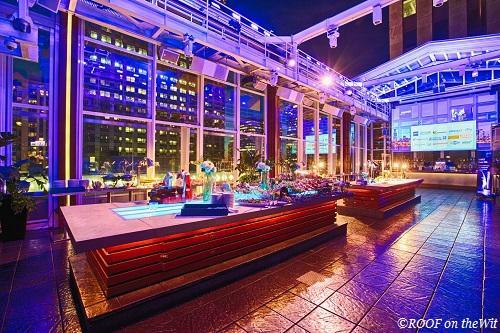 Details: Chicago’s largest outdoor rooftop terrace is located atop the Loews Chicago Downtown Hotel. 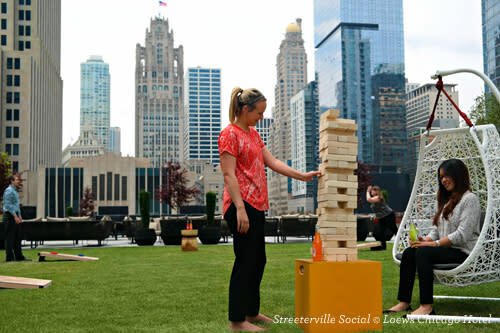 Two bars, comfy lounge seating, stretches of park-like green space, and lawn games that include a giant jenga set make this a fun seasonal venue. Plan a private event for 50+ guests. 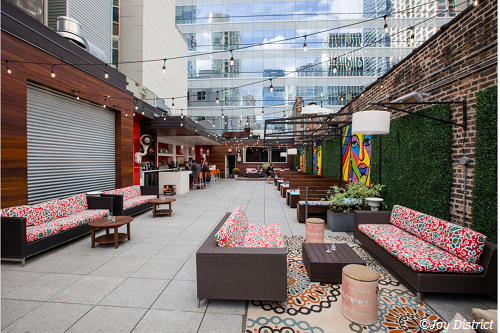 Details: Dine on the rooftop with panoramic River North views while indulging in Joy District’s imaginative American cuisine that includes a Lollipop Menu with small bites like fried Amish chicken and phyllo-wrapped shrimp. Colorful murals on the brick walls, funky furniture and a DJ booth add to the electric atmosphere. Plan a buffet-style dinner or cocktail reception. 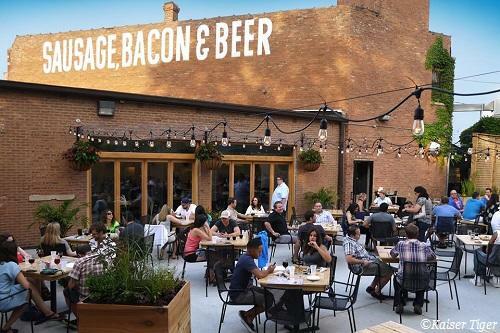 Details: Located in the trendy West Loop, this gastropub features loads of brews (including hard-to-find craft beers), gourmet sausage and unique bacon dishes. In the outdoor Beer Garden, guests can play bocce ball and bags during warm weather months. The Beer Garden accommodates 200 seated/300 cocktail. 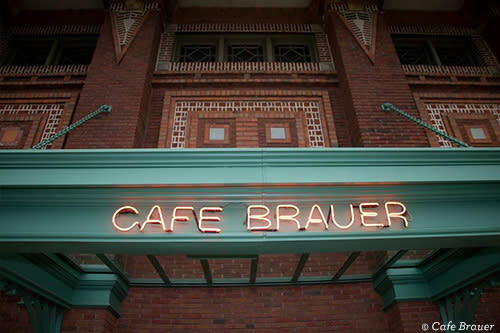 Details: Located in the midst of Lincoln Park Zoo, the historic Café Brauer was built in 1908 in the beautiful Prairie School style of architecture. The dramatic second-floor Great Hall features a soaring skylit roof, gorgeous stained glass windows and outdoor stone balconies overlooking a pond and the surrounding park. 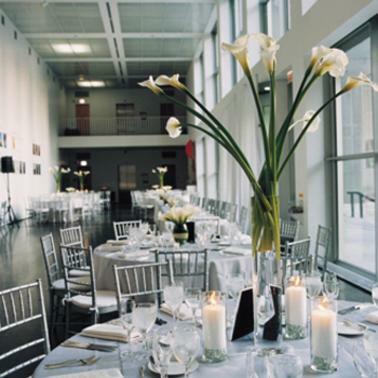 The Great Hall can accommodate up to 300 for a seated dinner; 400 reception-style. Details: Once your guests have marveled at the amazing collection of architectural pieces (including ornate chandeliers and vintage furniture) at this two-floor venue, take the party outside to the lush garden Courtyard surrounded by ivy-covered brick walls. The Courtyard accommodates 200-250 guests. 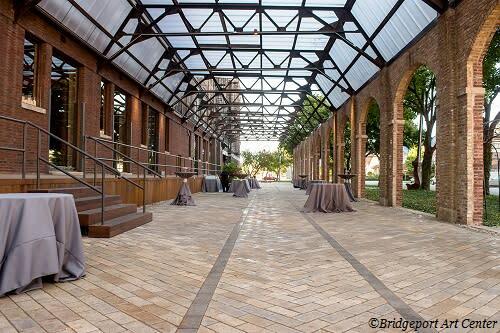 Details: The Sculpture Garden at this loft venue offers 6,000 square feet of covered outdoor space. Dramatic French doors lead from a gallery out to the Sculpture Garden that features brick archways and works by local artists. The Sculpture Garden sits 650 guests or 900 for a cocktail party. As an added bonus, the Bridgeport Art Center offers large, free parking lots. 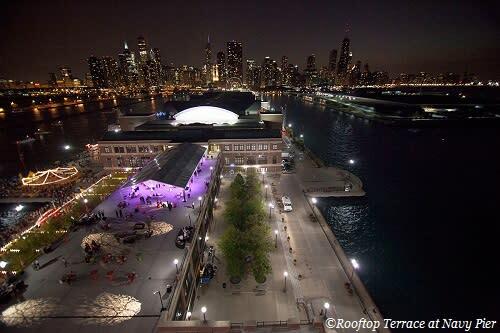 For more great outdoor venue ideas, see 9 Chicago Riverwalk Private Party Venues, Six New Chicago Rooftop Event Spaces and the Guide to Hosting Outdoor Chicago Events.